We who follow U.S. policy in Latin America shouldn’t be surprised to see Washington’s policy toward Egypt drift from support for democracy to support for the status quo ante. President Obama’s 2009 speech in Cairo reaching out to Muslims – calling for an end to the “cycle of suspicion and discord” – came just six weeks after he told the Summit of the Americas that he wanted “an equal partnership” with the hemisphere and sought “a new beginning with Cuba.” When 30-year President Hosni Mubarak stepped down in 2011, the Administration eagerly linked Egypt to the “Arab Spring” and, despite concerns about the Muslim Brotherhood roots of Egypt’s first democratically elected president, tried to make the relationship with Mohamad Morsi work. Over time, however, Morsi – successor to an undemocratic regime in an undemocratic country with no democratic traditions and no democratic institutions – was accused of being undemocratic. The estrangement grew so deep that the Obama Administration still cannot bring itself to call the July 3 coup against Morsi a coup, and Secretary of State Kerry saw fit to refer to the military takeover as “restoring democracy” even as the Army was firing on unarmed crowds. To Latin America watchers, this chronology is reminiscent of U.S. policy in our own hemisphere. The case of Honduran President Mel Zelaya is clearest. The Honduran military removed Zelaya– in his pajamas – from his home and country in June 2009 for proposing a referendum that, the putschists claimed, violated the Honduran constitution. 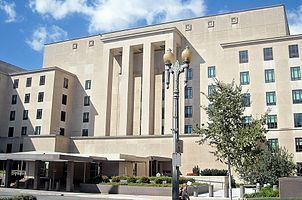 The Obama Administration’s nominee to be Assistant Secretary of State at the time, Arturo Valenzuela, testified that the action was, in his opinion, a coup, but the State Department never categorized it as such and, despite rhetoric committing to restore Zelaya, the Administration let the interim regime consolidate power. Amidst a state of emergency, media closures, and other irregularities, the State Department also gave its blessing to elections held several months later. Zelaya’s rhetoric before the coup was caustic, and he squandered political capital in needless confrontations, but he never threatened Honduran “democracy” or violated human rights as the interim regime did. Nor did he preside over a steady deterioration of security, civil rights, and the economy as the current government has. Yet, ironically, the Obama Administration has never set the history of the coup straight – just as the Bush Administration never rectified its disastrous support for the 2002 coup against Chávez in Venezuela. The excesses of some leaders, like Zelaya and Chávez, make supporting or turning a blind eye to a coup very tempting. But Washington has also shelved its moral outrage when much less provocative presidents – democratically elected but progressive-leaning – have been removed from power, if not with a gun at their head. The “constitutional coup” against President Lugo in Paraguay last year is the most recent example. The gap between U.S. rhetoric about democracy, rule of law, and due process on the one hand and its tangible actions on the other has a number of causes. American “exceptionalism” – the sense that U.S. success gives it a right to judge others and intervene even when national interests are not at stake – sometimes leads Washington to over-extend and make rash decisions. Eagerness to act quickly – to appear decisive – often makes policymakers confuse the symptoms of problems, which seem amenable to quick solutions, and the essence of the problems themselves. Policies address the short-term while neglecting the strategic. Washington lobbies – the pro-Israel lobby in the case of any matter in the Middle East and the Cuban-American lobby in Latin America – are able to dominate U.S. perceptions of events, pushing administrations into a corner. Administrations embarrass themselves when they throw around words like “Arab Spring” and “democracy.” When the inevitable bumps in the road occur, they act betrayed rather than admit they got carried away by wishful thinking. Double-standards –the expectation that progressives succeeding authoritarians will be perfectly democratic and flawlessly inclusive – make it difficult for Washington to avoid prematurely throwing a potential ally overboard. When U.S. interagency committees discuss how to respond to crises, the departments and agencies with the deepest ties in the country under discussion claim more influence over events there than anyone else – and win most policy debates. The problem is that their ties are mostly to political and economic elites – or the military and intelligence services that back them – which are rarely agents of change. Washington winds up allied with forces that suppress the new voices essential for the “springs” and “democracies” that it says it wants.